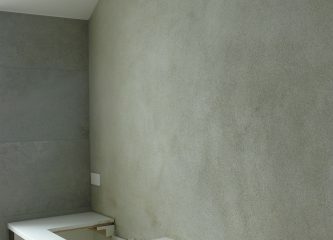 Modernise your home with plaster. 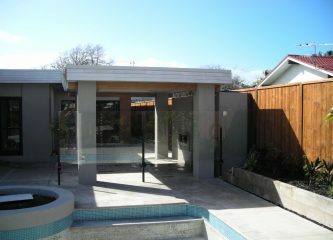 Solid plastering, traditionally a sand and cement mixture is applied to an external substrate e.g. brick or block, concrete walls or stone. Plastering can also be effective over various forms of existing cladding. Wallboard stopping includes different applications in order to have the wall paint ready. There are different levels of finishes for different requirements, i.e. complete cover i.e. skimming (level 5) or standard practice utilizing matt or low sheen paints (level 4). The fireplace is a focal point and often in need of modernization. The makeover enhances through different shape and texture and improves the look of the room and the surroundings. 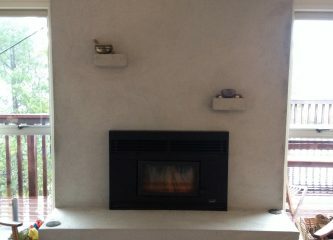 I have vast experience in indoor modernization and newly built outdoor fireplaces alike. Cove is an inexpensive alternative to timber scotia and are available in different sizes. Cove gives a classical look to both new homes and existing homes. Cornice is a century old plaster of Paris mould creating a classical look. Cornices and fibrous plaster ceilings are used traditionally in conjunction and are very popular. Plastering systems have been developed to create an extremely hard wearing and durable finish which is superior to the sand and cement renders. Plastering systems are formulated to be applied directly over existing substrates using fibreglass mesh in the plaster which is resistant to cracking. There are many textures and finishes available. American Clay classifies as Specialist Finishes. A two-coat application plastering system designed to go over almost any substrate. The product system is 100% natural, sustainable, non-toxic, non-flammable, mould, pest resistant and breathable. With 32 colours and 3 different finishes. A paint-free system, that saves time and money.